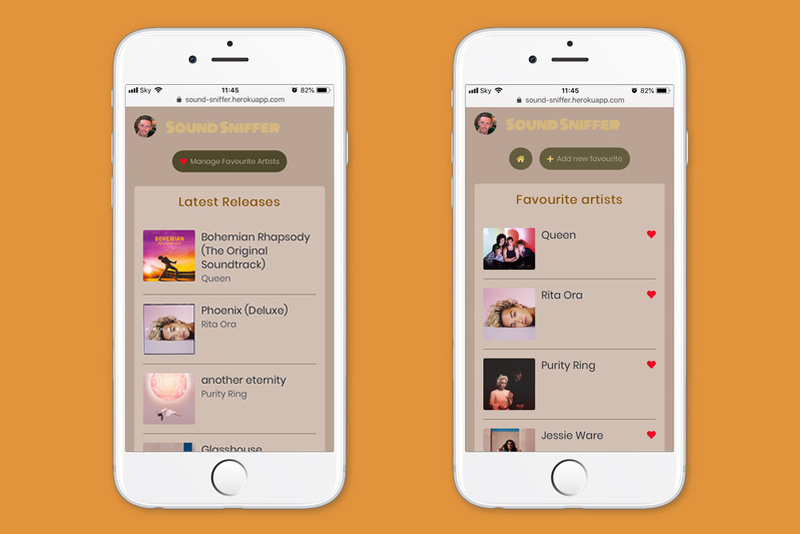 Sound Sniffer is a React app which tracks your favourite artists and displays their latest music releases by using the Spotify API. You can remove old favourites, and search for and add new ones. Your new releases feed will automatically refresh and show you the latest and greatest new music from your personal artist list. The home screen of the app displays the latest music release from each one of your favourite artists. 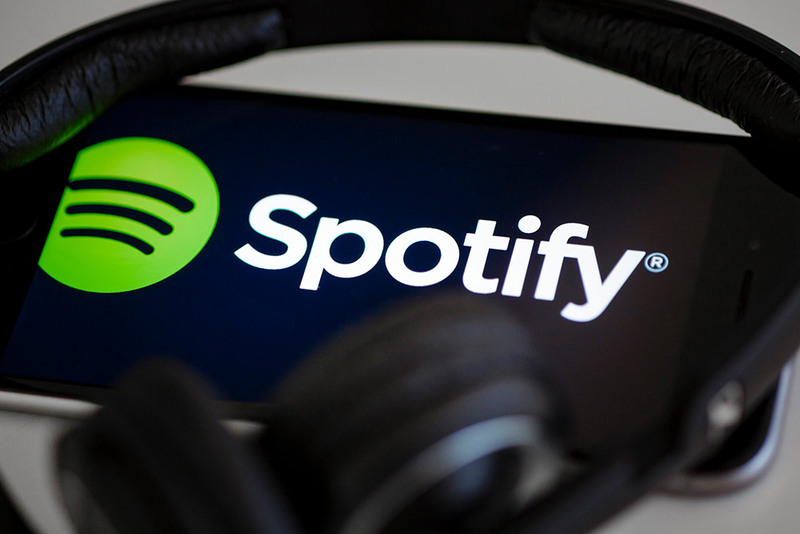 It uses the Spotify API to retrieve the latest music and displays it for you all in one, easy to view place. Tastes change, and if you're no longer a fan of Britney, you can simply tap the heart to remove her from your favourite artists list. Her fantastic music will no longer adorn your home screen! 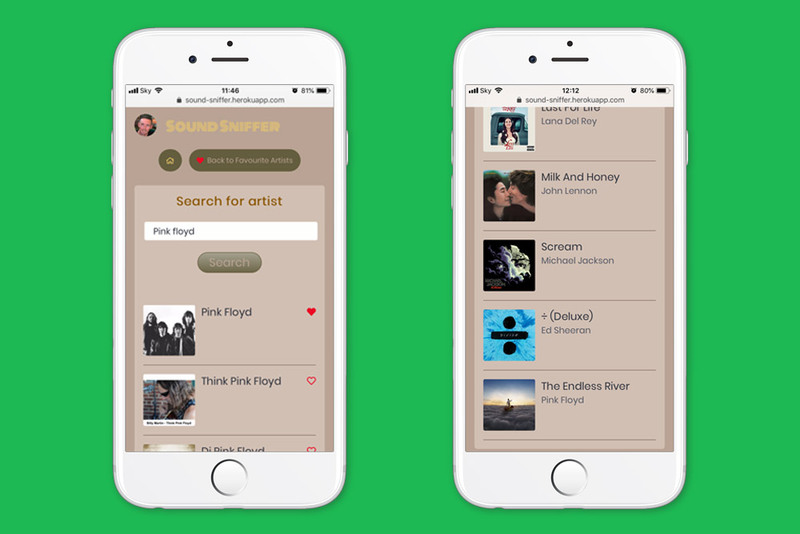 The app is built using React, and communicates with a Node.js, Express and MongoDB back-end API to retrieve the list of favourite artists, and in turn retrieve their latest music releases.